Afghan refugees have returned to the headlines as European countries pursue avenues to send many of those waiting for asylum back to Afghanistan. 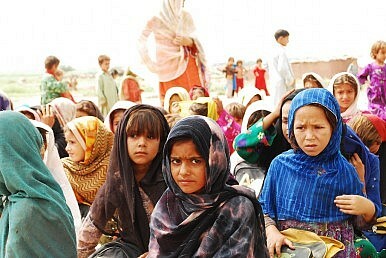 A larger number reside in Pakistan and Iran, where they are stuck in the limbo of refugee camps. Meanwhile, many of those who have already returned remain in a difficult situation, left landless despite laws a decade old geared to helping returnees reclaim their land and schemes designed to allocate land to those who return. Until the Syrian crisis, Afghanistan had spent three decades as the world’s top producer of refugees. M. Ashraf Haidari commented in January in a piece for The Diplomat that “over the course of the past 36 years, Afghan refugees have never hesitated to return home as soon as conditions have given them hope for the restoration of peace and justice in Afghanistan.” But shortly after those who were hopeful returned, new conflicts arose. For example, when the Soviet Union withdrew in 1989 and the Afghan communist government fell in 1992, “more than 2 million Afghan refugees voluntarily repatriated from Pakistan and Iran.” But then the civil war crushed any realistic hopes for stability, and a new wave of refugees fled. In February, German Interior Minister Thomas de Maiziere confirmed that a planeload of Afghans had been sent back to Afghanistan after volunteering to return. According to Deutsche Welle, he emphasized that they “had no prospects to stay in Germany.” Germany’s embassy in Kabul last year began a campaign to stem the tide of new refugees which the Human Rights Watch germany director called “unusually stupid.” The embassy reportedly erected billboards asking “Leaving Afghanistan? Thought it through?” Germany views Afghan refugees as primarily economic migrants, rather than categorizing them as fleeing conflict, meaning most will be denied refugee status. Unfortunately, those that return to Afghanistan are still in for considerable uncertainty. In a recent report for the Afghanistan Analysts Network, Jelena Bjelica dives into why many Afghan returnees remain landless, despite several laws and initiatives that aim to provide or return land to them. There has never been a calm moment in the past several decades to sort out ownership of land and during that time laws and norms have changed, resulting in a confused mess. For example, Bjelica writes “Although the recovery of property was recognized as a right [by the 2001 Decree on the Dignified Return of Refugees], in practice, many returnees found they could not just walk in and reclaim their original houses and farms. New occupants often held documents supporting their own claim to the property.” In fact, the 2001 decree “revoked all land rights people had gained through the land reforms in the 1970s and 1980s.” Lack of documentation and conflicting claims is one problem; another is that many refugees never had land to begin with. By 2014, of the estimated 2 million Afghan returnees eligible, only 266,000 had applied for land and only 57,500 plots had been allocated (fewer still had received deeds or actual occupied the land granted). Notably, Bjelica points out that the Afghan government has never considered a public housing option in urban areas–the land offered through the allocation scheme is all in rural areas, often without access to basic services, let alone jobs. Returning to Afghanistan and restarting life there is not easy, even for those who wish to do so. The Afghan Endgame: What, When, and HowThe Afghan National Unity Government’s ‘China Card’ Approach to Pakistan: Part 2The ‘Father of the Taliban’ Is Dead. What Does That Mean for the Afghan Peace Process?Imran Khan's Citizenship Offer to Afghan Refugees: A Promise or a Topic for Debate?Are We Finally Seeing a Breakthrough in Afghanistan-Pakistan Relations?